What Makes This Show So Different? It’s not just a show! It’s an all-out, ultra-cool festival!!!! 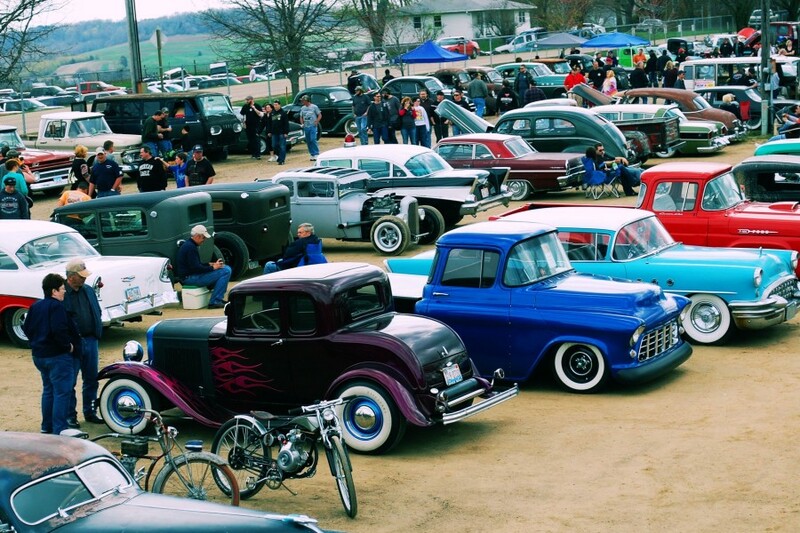 Artists, live bands, swap meet, vintage apparel and furniture dealers, classic pin up girl contest, vintage motorcycles, hot rods, and custom cars will all join in one group at the Dubuque County Fairgrounds. Cars and motorcycles are already registered from MI, OH, IL, MN, KS, MO, NY, MA, SD, TX, OK, IN, and of course many from WI and IA. 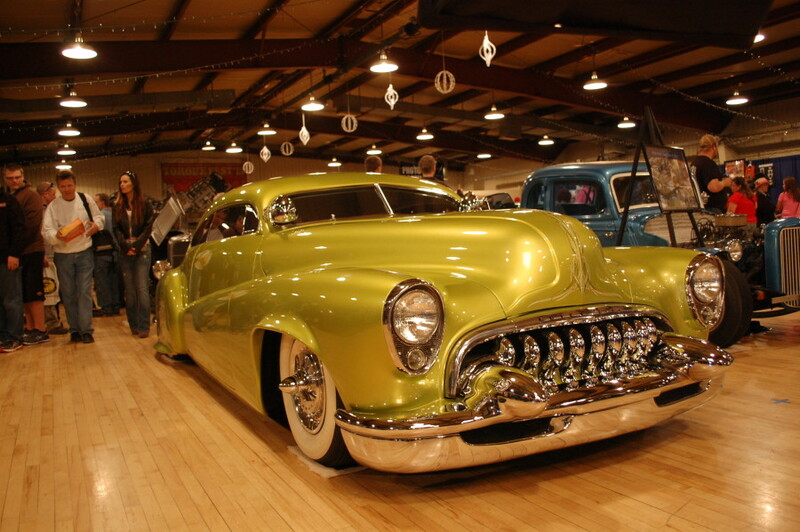 The car count is expected to be around 600-750 classic hot rods. This show strives to bring back a specific time in history. A period before muscle cars, and before old cars were brought up to date with digital technology. In an attempt to solidify this specific era there is segregated parking. There will be a Friends parking area for the cars that don’t meet the entry guidelines. With the inclusion of the Friends parking area (an area designated for cars that were made after 1964) there could be 800 cars rolling into the Fairgrounds! Live music from internationally known music acts will be playing at the Vintage Torque Festival. 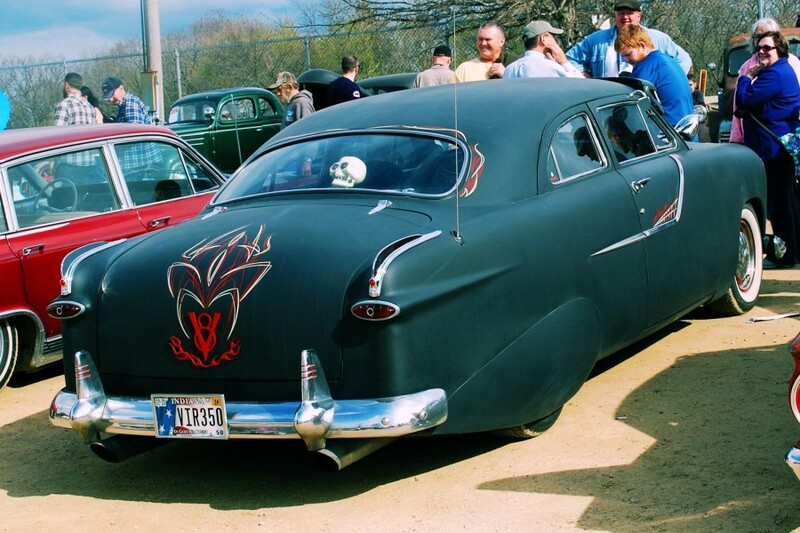 The emphasis is on rockabilly, surf, psychobilly, outlaw country and honky tonk country at this event. Adam Lee & The Dead Horse Sound Company, LÁssassins, Cat Club from Spain, Rodney and the Regulars, Bob Wayne and the Outlaw Carnies, Koffin Kats, Surf Zombies, Rumble Seat Riot, and many more will all be playing sets either on Friday or Saturday. We will have a sound system providing tunes that will range from Social Distortion, Lionel Hampton, and The Afterdarks to Johnny Cash, Merle Haggard and Pushrod. If you are in the mood for Beach Boys and doo wop – sorry – wrong show. The live bands and more food will be outside. Please see the website for the schedule. 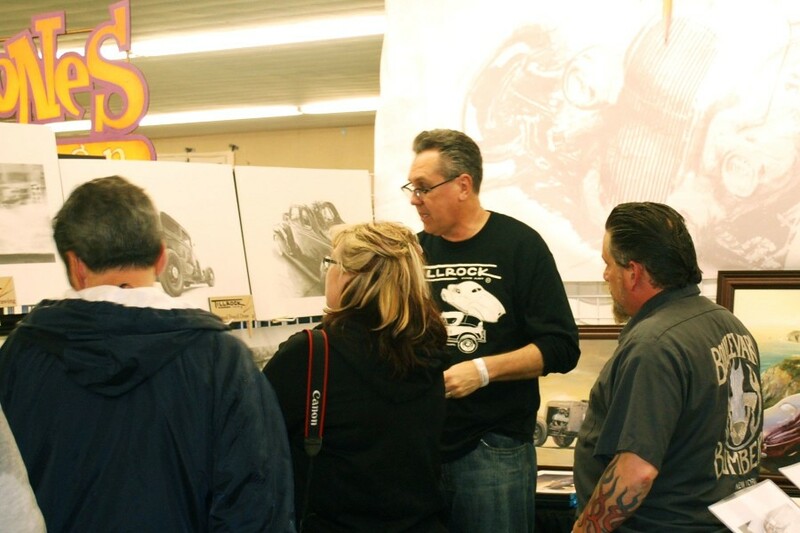 Automotive Artist Ed Tillrock will be there! Will you? Overall this event promises to be a fun filled trip to the past designed to welcome car aficionados as well as those that just want to people watch and experience something a little different for a day. The pre party starts on Thursday evening with a parade downtown that is open to all classic cars. It starts at 6pm in the McGraw Hill parking lot. Dubuque, Iowa is a small city with a population of about 56000. 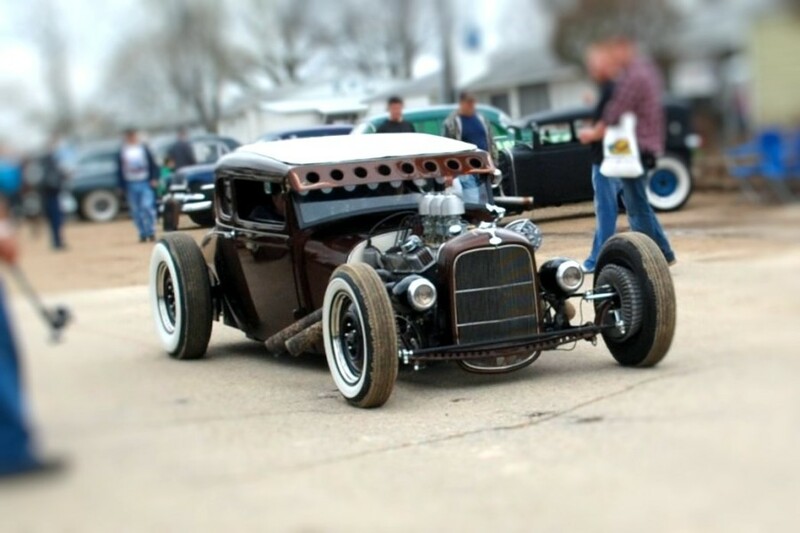 The Dubuque County Fairgrounds are a great location to host the Vintage Torque Fest. Plenty of parking for spectators, with room for a swap meet, camping on site, and 15000 square feet of indoor buildings. The main building is equipped with a bar and we will have vendors and special invite historic hot rods and customs in this building as well. 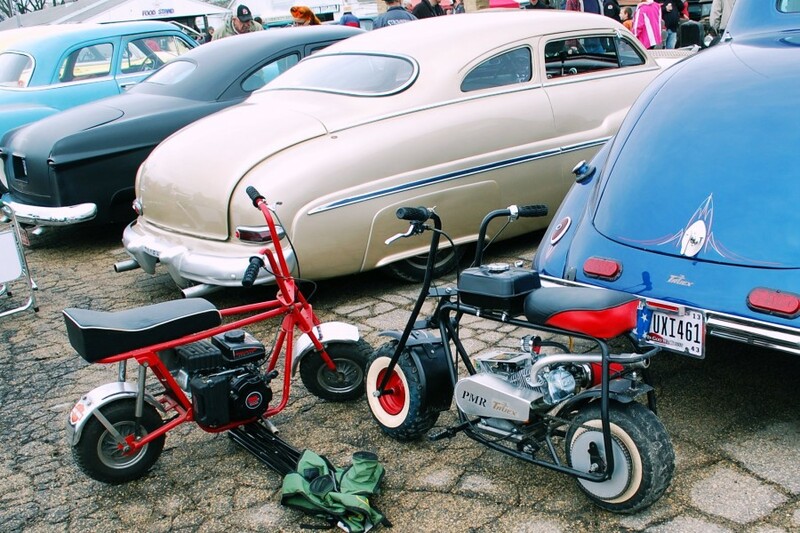 Vintage Motorcycles – Pre 1975 customs, choppers, and bobbers welcome. In addition, any motorcycle that are pre 1965 in original condition are welcome. A classic style pin up contest will take place on Saturday morning at 10:30 am. This is another period time piece that sees the girls dressing up in vintage attire and sporting the classy, not trashy, look. Winners of the pin up contest will take home $300 in prize money and gifts from sponsors-$200 for 2nd and $100 for third. Only $10 a day to come into the show and $15 for the advance weekend pass. This rate will apply to everyone – spectator and car owner alike. There is no extra fee to show your car and no extra fee for parking. Preferred parking will be available for $5 All proceeds from the gate go to Helping Hannah’s Heart. This non-profit was established to help families dealing with the financial burden that comes from having a child with Critical Aortic Stenosis or related Congenital Heart Defects. Open to the public at noon on Friday, 8am on Saturday morning, and 9am on Sunday morning. 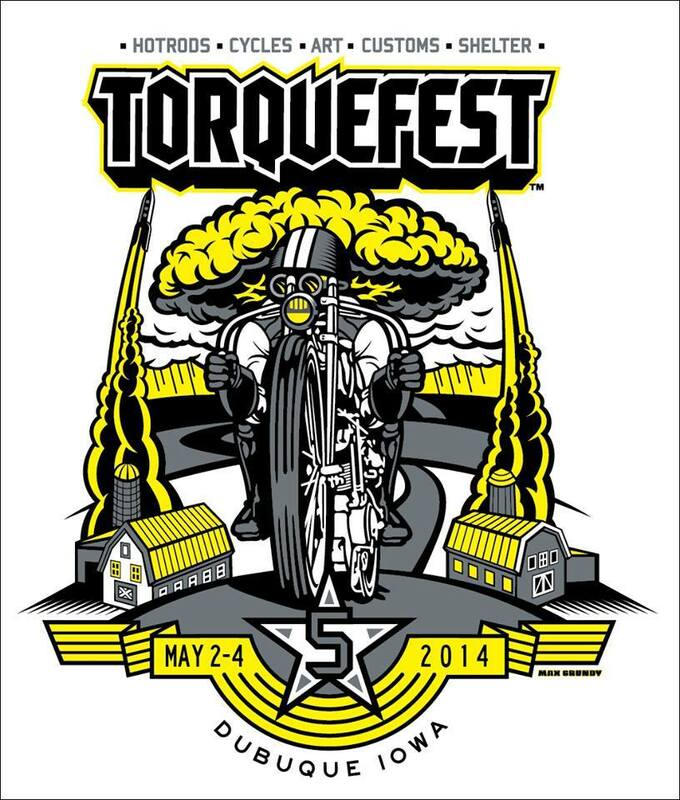 Wanna see some of last year’s action at TorqueFest? Click here! when i read about the first torquefest i been able to go to 3 out of the 5 shows.its a 10 hour drive for me but i enjoy this more than any shows around home.people just have to be there to believe.hope to have my vehicle there soon.